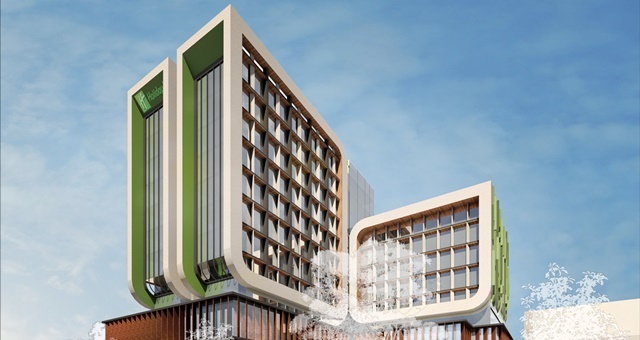 Holiday Inn Melbourne Dandenong will open in 2021 and feature 160 rooms among other facilities. A Victorian state government grant of $290 million aimed at revitalising the south-east region of Dandenong has contributed to an announcement by InterContinental Hotels Group to open a Holiday Inn & Suites in the city. Tentatively slated to open in 2021, the planned 11-storey mixed-use development will include a 160-room Holiday Inn & Suites, including an extended-stay component designed for corporate travellers needing longer-term accommodation. Dubbed Melbourne’s ‘second city’, Dandenong is in a period of rapid transformation and growth, with clusters of new businesses and industries flocking to the city as residential communities spring up around it. It is currently home to Amazon Australia’s first local fulfilment centre, the Salvation Army regional headquarters, the Australian Tax Office, educational institutions and many other branches of government. Holiday Inn Hotel & Suites Dandenong will also feature two levels of commercial office space, conference and meeting facilities and retail outlets. Guests can also make use of an all-day restaurant, bar and fitness centre. The new development is in collaboration with Barnes Capital, which adds to its growing collection of IHG properties also featuring the forthcoming Holiday Inn Coburg and voco Yarra Valley. Managing Director Martyn Barnes said Dandenong says it “has it all”, however it “doesn’t have a great hotel yet”.